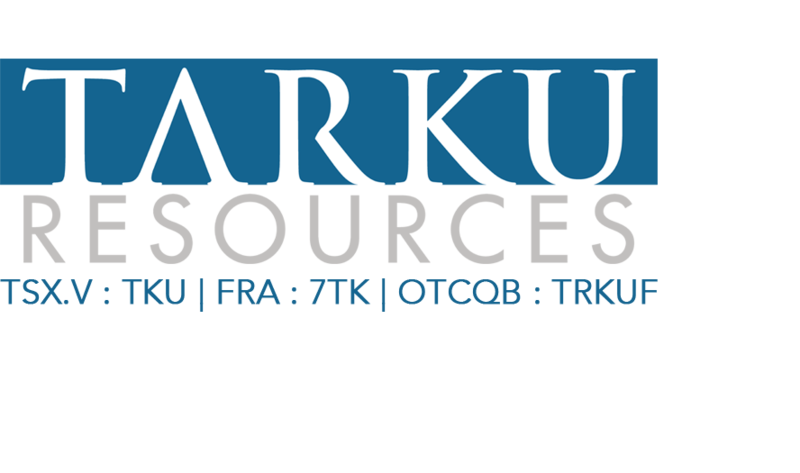 SASKATOON, SASKATCHEWAN - Oct. 21, 2016 - Tarku Resources Ltd. (TSX VENTURE:TKU) (the "Company" or "Tarku"), announces that all the resolutions proposed at its Annual General Meeting of shareholders held on October 19th 2016, were duly passed by an overwhelming majority, including the re-election of our directors Messrs. Tom MacNeill, Timothy Termuende, Barry Chappel, Bernie Kennedy, and the election of Jeff Sheppard and Sylvain Laberge. Mr. Sheppard will also act as the new Chief Financial Officer replacing Mr. Glenn Diduck who will remain with Mr. Jason Weber as members of the advisory board. In addition, Mr. Darren Fach was nominated as corporate secretary. Sylvain Laberge "We would like to thank Mr. Diduck and Mr. Weber for their dedication to Tarku and we are welcoming their experience to the new advisory board". With 36.84% of the issued and outstanding shares having been voted, all in favour of the resolutions, the Company is pleased with the continued support from our valued shareholders. We would also like to update you on a recent prospecting program that was conducted on our Chateau Fort project. The program consisted of recognition of the properties, verifying certain geophysical anomalies and comprehension of known existing values and maybe new discoveries if possible. The program was primarily executed inside and around the Eastmain greenstone belt. 123 rock samples were chosen, which identified the following types of rocks; basalt, rhyodacite, pyroxenite, gneiss, pegmatite. One rock sample showed abnormal values in gold and copper (0.174 g/t Au and 0.37 % Cu) it is associated with a quartz-tourmaline vein system with traces of pyrite and chalcopyrite injected into volcanic rocks. Rock samples were analyzed by ALS Minerals in Val-d'Or, Quebec. Gold was analyzed by fire assay with atomic absorption. All samples were assayed using an ICP method for a 61-element analytical package.